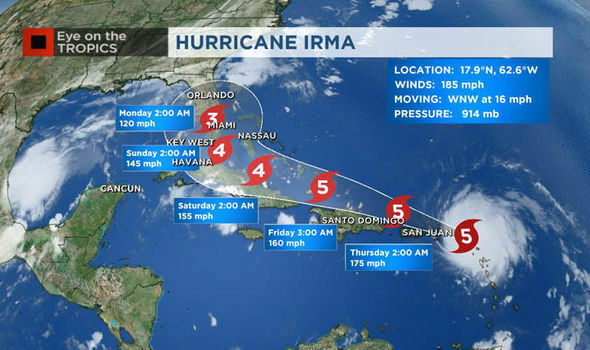 Staff Writers Zach Murdock and Elizabeth Djinis did a nice job in the Sarasota Herald Tribune (Preparing for More Irmas, 9/17/2017) explaining that hurricane Irma represents the new normal: the strongest storms should get stronger in the coming decades as the ocean temperatures warm; creeping sea level rise will make storm surges and inundation worse, particularly for low-lying areas; and storms that do form are likely to bring more precipitation with them. What kind of action? There are two strategies for dealing with the climate change crisis: Adaptation and Mitigation. Examples of adaptation are building dikes and elevating buildings. These are the kinds of action the City Manager may have in mind for protecting the 220 Sarasota city assets identified as vulnerable to seal level rise. Adaptation gets a lot of attention, in part because there is money to be made. National Geographic explains how some are profiting on the threat of rising seas. A proposal for floating islands in the Miami area is an example. “We will dredge to prop everything up,” one Miami land use attorney says. “The watchwords are protect, accommodate, and retreat, which sound a lot like a civil engineer’s version of the stages of grief”.1 While adaptation may be profitable for contractors, it is costly for consumers. Elevating a $300,000 home can cost well over $100,000. Mitigation has to do with slowing and/or reversing global warming, and therefore reducing the likelihood of severe weather events and catastrophic sea level rise. Mitigation actions attempt to draw down the excess greenhouse gases in the atmosphere, which are the cause of climate change. Drawdown has two components: (1) eliminating the cause of the problem by reducing/eliminating emissions of greenhouse gases, and (2) increasing photosynthesis, the process by which plants remove carbon dioxide (the principle greenhouse gas) from the atmosphere and store it in the soil. So how do we prepare for more Irmas? Adaptation, which aims to protect us from the problem, is necessary, and something we will need to pay for. Mitigation makes sense because it works to solve the problem and pays a return. We cannot afford not to mitigate… and the sooner we do, the better our chances for a stable climate and a livable world. Mufson, Steven. 2014. “U.N. climate panel: Governments, businesses need to take action now against growing risks.” Washington Post, March 30.